Today I’d like to focus on what we call ‘cervicogenic’ headaches that are caused by neck problems. The pain typically stems from pressure in the top of the neck, between C1 and C3 and relates to the joints, muscles and ligaments in this region. 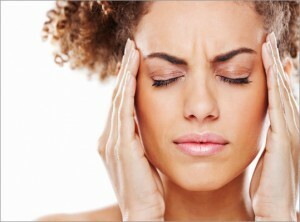 For many years, people who received chiropractic adjustment for this kind of headache experienced good pain relief. But it wasn’t fully understood why adjusting the neck could achieve such impressive results. Recently, we realized that a particular ‘nucleus’ in the neck gives feeling to the face and head and relates to the very same area where a chiropractor relives the pressure. The ‘cervicogenic’ headache is often the result of a whiplash type of injury caused by a car crash or sport injuries. They may also be the result of poor posture, caused by activities such as sitting at a computer or talking on the phone. They typically affect more women than men. Patients with ‘cervicogenic’ headaches can experience significant impact on their quality of life. Some patients suffer debilitating headaches for years without being able to find a solution. The good news is that chiropractic treatments are effective in taking theÂ pressure off the area causing the pain and symptoms can be treated remarkably quickly. One way we can identify this type of headache is when the patient presents a unilateral or bilateral reduction in neck range of motion. In other words, you can’t turn your head as far as you used to – to the right or the left. Typically, one side is more affected than the other. For example, patients often describe how moving into traffic and turning the head prior to changing lanes has become a problem. They tend to turn the whole body instead of just the head. Another indicator of this type of headache is that you can find a point in the neck and when you push on it, it’s painful. This is usually where the joint has seized up or is locked in a muscle knot above it. Treatment may include a manual manipulation or an instrument adjustment. With only a few treatment visits, the pressure causing the headaches can be relieved. If you don’t feel an improvement after three treatments we will give you your money back.